In the spirit of continued innovation, UDA Technologies has announced the addition of Estimating and Budget Views to ConstructionOnline Mobile. Following the latest app update, Estimating Views are available in ConstructionOnline Mobile on both Android and Apple markets. ConstructionOnline Mobile debuted last year as the most comprehensive project management app for growing construction firms worldwide. 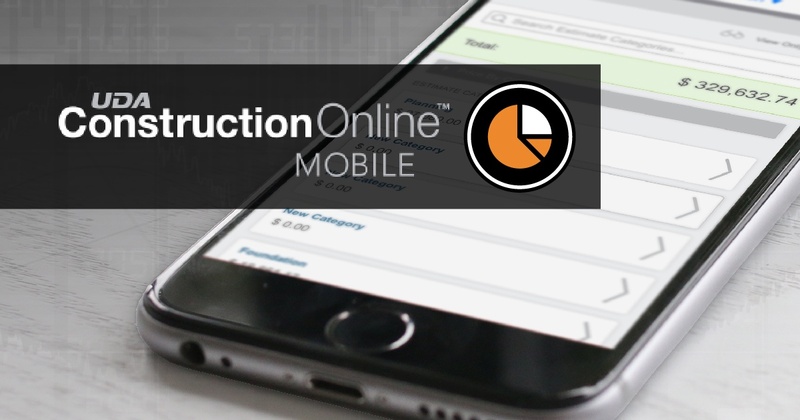 Joining the OnSite family of mobile applications, ConstructionOnline Mobile continues to expand project access and management from any device, anywhere, at any time. Since 2010, UDA Technologies has provided the largest and most powerful family of mobile applications in the industry and additional progress is expected in the future.